"Excellent dermatologist. Staff friendly and wait times minimal." "I trust her and value her diagnosis. She knows her stuff." "Quality of service was superb. Amazing staff and an amazing doctor." "She is a very diligent, ethical and amazing dermatologist. I would highly recommend her." "I recommend Dr. Magee. The treatment she gave me took care of the problem instantly." "Great experience! The staff are super nice and helpful!" "Professional and courteous. I would definitely recommend Dr Magee." "Always seen by Dr. Magee. First class service!" "Easiest doctor visit I've had. Staff was nice and visit was quick and on time." As a leading dermatologist in southern Texas, Norma Magee, MD, is an expert in all diagnostic, treatment, and enhancement skin procedures. 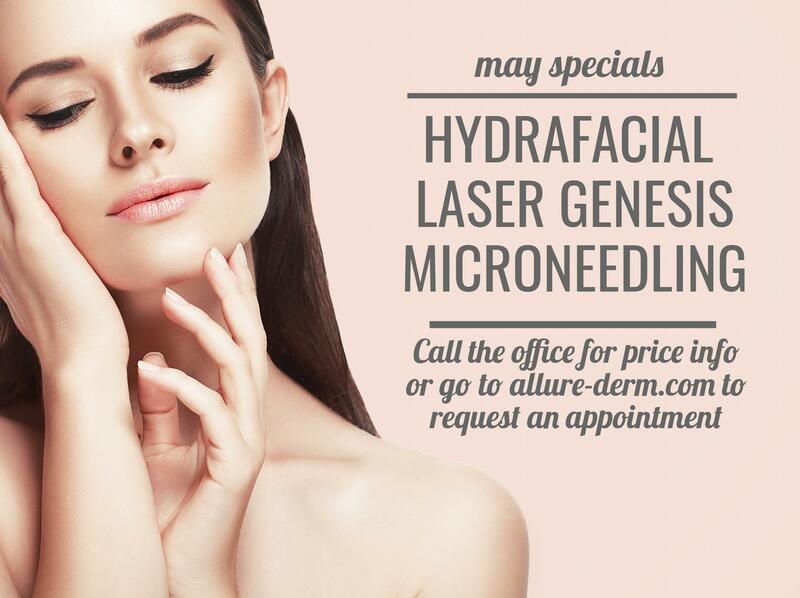 Her practice, Allure Dermatology in Edinburg, Texas, is conveniently located near Mission, McAllen, and Pharr. After completing her medical degree at the University of Texas Medical Branch in Galveston, Texas, Dr. Magee went through her internship at Scott & White Medical Center in Temple, Texas. Dr. Magee then completed her residency training at Louisiana State University in New Orleans and Baton Rouge. Skin is the body’s largest organ, so it’s essential to visit a specialist for beauty or medical skin care needs. As a trusted dermatology expert, Dr. Magee holds specialized certifications and memberships. She’s a board-certified dermatologist through the American Board of Dermatology. Dr. Magee is also a member of the American Academy of Dermatology, as well as the American Society for Dermatologic Surgery. While Dr. Magee specializes in medical-grade beauty treatments, such as dermal fillers, platelet-rich plasma (PRP), and tattoo removal, she also helps men and women with skin concerns. Edinburg-area patients go to her for help with skin pigmentation issues, skin tag removal, and skin cancer treatments. Dr. Magee cares for her southern Texas community and welcomes new patients to her practice. Allure Dermatology accepts most major insurance plans. Please contact our office if you do not see your insurance plan listed. "I recently had an appointment with Dr.Magee. I found her to be extremely knowledgeable, dedicated, and highly professional." "Amazing experience. Dr. Magee, and her staff were so attentive and made me feel comfortable. I highly recommend Dr. Magee!" "World-class customer service. The staff and Dr. Magee were friendly, helpful, knowledgeable and informative. Highly recommend." "I cannot recommend Dr. Magee highly enough. I am confident that she is the best dermatologist in the Valley." "Dr. Magee immediately diagnosed my condition, explained the cause, and prescribed medication for treatment. Within a few days my skin was back to normal." "Dr. Magee took her time to explain what was going on and answered any and all questions that I had. Highly recommend! Thanks Allure staff!!" "I had to have a small procedure done to my face and was very nervous. Her staff really eased me and Dr. Magee was so great!" "I'm happy I found this dermatologist. Dr. Magee takes the time to talk to you and give you different options." "I am so glad I found a place that is friendly, fast, and effective!! Recommending this place to everyone I know." "Friendly, quick and attentive service. Tried a new approach to my daughters acne problem. Seeing results already."